These announcements are relevant only to the 6th period 10th Grade’s Chinese class at BHSEC (Fall 2018-Spring 2019). Be ready to do your oral presentation by Thursday. (you should come up with a draft on Wednesday). Make sure to turn in the L5D2 sentence worksheets too. We did the L5D2 flashcard quiz on Wednesday. Make sure you finish flashcard quiz for L5D2, if you haven’t completed this quiz. All L5 D2 character and vocabulary worksheets should all be turned in no later than this Friday. On Friday we will have a vocabulary written quiz on L5D2. Since there won’t be that many vocabulary, I won’t provide the character bank for this quiz. L5D1 Workbook was due last Friday. If you have not turned in yet, make sure you turn it in today. L5D1 Grammar Sheet is due today. Finish the HW on L5D1 I. A and III A, B, C before attending the class on Wednesday. L5D1 Written Vocabulary Quiz on Thursday. Entire L5D1 Workbook due on Friday. Hope you will all work hard to master this script for New Year Performance. HW due on Tuesday (Wednesday for 6th period): character and vocabulary worksheets. We did our written Vocabulary quiz for L4D2 (p. 116-117) today. This following package: L4D2 Workbook (The entire workbook) is due on Friday if we have class, otherwise turn it in on Monday. The written Vocabulary quiz will be on Monday. We will have flash cards quiz on L4D2 and the above vocabulary flash card quiz by Friday. Flash card quiz for the vocabulary from Snow White up to the line saying “我决不允许别人比我漂亮。 If you haven’t taken your vocabulary today, make sure to complete this quiz as soon as possible. Create all the new vocabulary up to that line. It is due today! L4D2 Character worksheet, please turn in no later than Thursday. L4D2 Vocabulary Worksheets due on Friday. We finished the flash card quiz on L4D1 today. Make sure to turn this HW to me as soon as possible: L4D1 dialogue–Write in Chinese Characters, pinyin over the new words, and English translation. This is supposed to be due today. Written quiz on L4D1 Vocabulary Friday. Try to finish the reading section Part III in the L4D1 workbook before attending the class on Friday. Flash card quiz on L4D1 Vocabulary on Monday. Written quiz on L4D1 Vocabulary Wednesday. 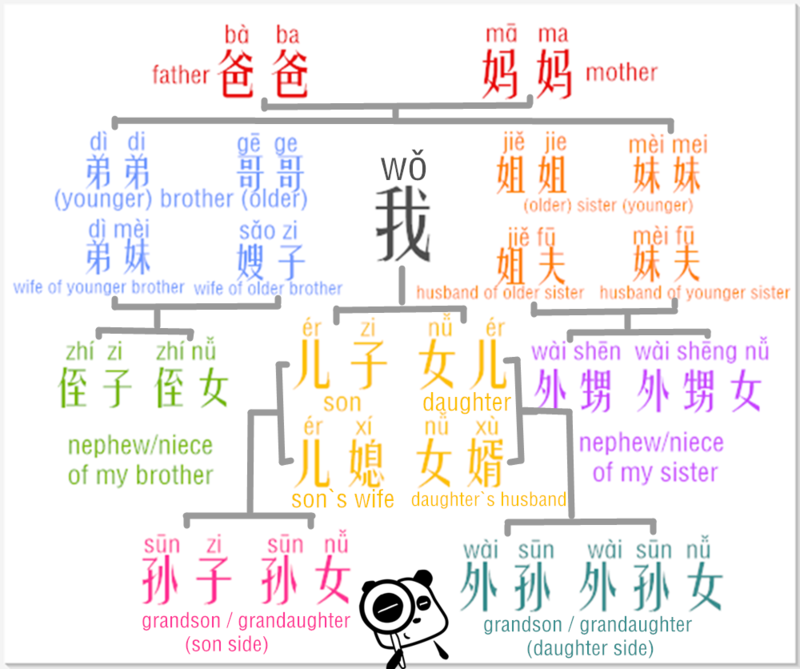 HW due tomorrow: L4D1 dialogue–Write in Chinese Characters, pinyin over the new words, and English translation. You will work on the script for your Oral Performance in class tomorrow. And expect to perform it on Friday. Please finish the entire Workbook L3D2 except for part II speaking exercise and turn it in to me on Tuesday at the beginning of class. We will have a big test on L3 (including both dialogues) coming up soon. Please finish Workbook L3D2 part 1 and part III A, B, C, D by Friday and finish part IV over the weekend and turn in the entire workbook to me on Tuesday. We will have L3D2 flashcard quiz on Friday. L3D2 Written Vocabulary quiz on next Monday (5th). Use Quizlet for IC1 L3D1 for practice. Please finish up L3D1 grammar and language practice worksheet we were working on today. HW: Finish L3D1 Workbook Part IV Writing. Make sure to bring the Ohio RESA’s student release form to your guardian for permission to be recorded for my teaching summative assessment. HW due by Friday: Workbook L3D1 part I A, B, and C (p. 43-44) and Part III A, B, C, D, and E. Reading Comprehension (44-46) (please annotate what you read with English translation). Written Vocabulary and dialogue quiz for L3D1 on Friday. I have collected your comprehensive test this morning. HW due Thusday: L3D1 unscramble sentences worksheet. Please come to get your test. The take-home test will be due at the beginning of class on Friday. If you complete earlier, you can give it to me. Please make sure not to look at the test before you are ready to take the test. You can use the character bank for your test, but please challenge yourself to write characters without looking at them. Use it only as a last resort. Use the review sheet to review before taking the test. It will cover lesson 1 and lesson 2 from Integrated Chinese and unit 1 lesson 1 and lesson 2 and unit 2 lesson 1 and lesson 2 from modern Chinese (supplementary materials). On next Tuesday I will give youh a take-home comparehensive test (covering all we have learned so far). The review sheet and character bank sheet were given in class. Please review what we have learned and get yourself ready for the test. It will cover lesson 1 and lesson 2 from Integrated Chinese and unit 1 lesson 1 and lesson 2 and unit 2 lesson 1 and lesson 2 from modern Chinese (supplementary materials). Finish Unit 2 Lesson 2 Jobs and Languages (p. 72-p.73 Make five sentences for each section). NSLI-Y Application deadline: October 30th: National Security Language Initiative for Youth (NSLIY) ages 15-18 for summer 2019 or AY 19-20. NSLIY is a U.S. State Department foreign language program in which selected students study a language such as Chinese or Korean overseas for a summer, semester, or school year. See http://www.nsliforyouth.org/ for details. –the L2D2 dialogue in English and Chinese character. Today, we used bingo sheet to review the vocabularies from L2D2. We practiced speaking the dialogues from L2D2. Watched the DVD on L2D2’s dialogue. We completed one-on-one flashcard quiz today. I checked your flash card homework today. We watched a documentary on Chinese family (14 min.) and went over the vocabulary on L2D2. L2D2 Flash card quiz on Wednesday. Remember to turn in your family tree Friday and be prepared to present in class. I have collected the following today: 1) L2D1 unscramble sentence sheet; 2) L2D1 character worksheets due. If you haven’t turned these two assignments to me, please turn them in as soon as possible to avoid more late penalties..
Extended kinship vocabulary worksheet due. Please write pinyin for each vocabulary on the margin. Flash cards on L2D1 from Integrated Chinese (on p. 48-49) (I checked today already). Poster Due on Monday: Make a family tree including you, your family members, paternal grandparents, maternal grandparents, paternal and maternal uncle(s) and aunts, nieces and nephews. Be prepare to introduce your family. We took the written quiz on Unit 1 Lesson 2 from Modern Chinese. Handout HW on Unit 1 L2 exercise sections (do half for each section) due on Friday (up to p. 37, see instruction: Lesson 2_p. 34-37 Instruction sheet I encourage you to work together with another classmate and have a chance to practice how to say all the them if you could. If you have any question, please feel free to see me. Friday: Written Quiz on Unit 1 L2. Make the flash cards for Unit 1 Lesson 2 你多大，你是哪国人 (all 41 vocabularies). Retake Written quiz for Unit 1 Lesson 1 (Optional) during the 5th period. On Thursday: Written quiz on the same set of vocabulary (1-26) (Need to study the titles (Mr. Miss, mrs. Ms,, but not names–27, 16 and 17). It may also include phrases and sentences. Welcome back to school! It was great meeting you all yesterday! It is my hope that this semester we will all commit ourselves to a successful school year! We will all work hard together to have a meaningful and excellent learning experience. 好好学习，希望你们每一个人都能学好中文，将来有一天都能说一口流利的中文！(Study hard! Hopefully all of you will learn Chinese well and learn to speak Chinese fluently someday. HW: Create the set of vocabulary flash cards before attending class (10 points). Bring it to class. 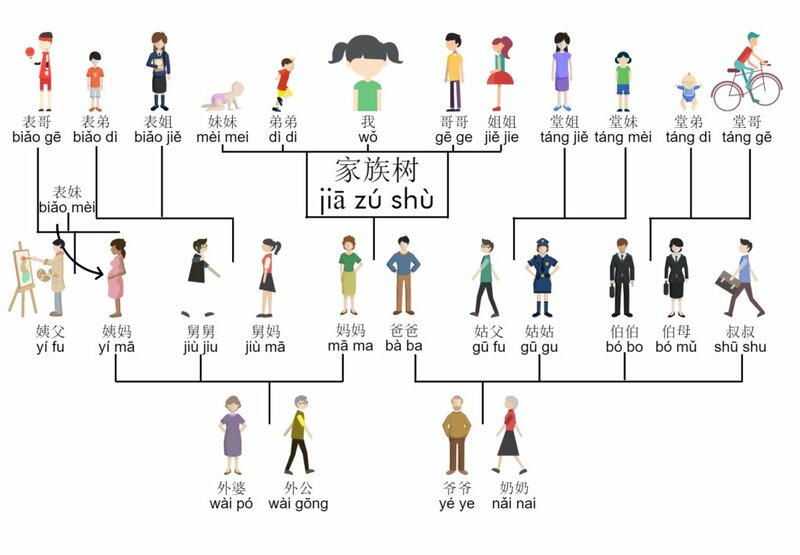 Review them and know how to 1) recognize the characters/vocabulary (Flash card quiz on Modern Chinese L1 D1 on Wednesday). Written Vocabulary Quiz on Modern Chinese L1D1 on Thursday.